In 1942, some 21,000 Japanese Canadians were uprooted and exiled from the West Coast and were sent to internment camps. Amongst those sent away were 76 UBC students. These students were unable to complete their university studies or missed their graduation. In November 2011, the UBC Senate approved three measures to recognize what happened to these UBC students: the students would be awarded honorary degrees the following May. 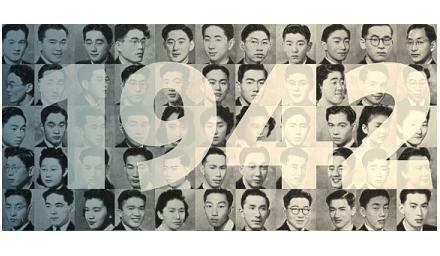 These interviews, as well as other videos and films related to this commemoration, are available through the UBC Japanese Canadian Students of 1942 collection in cIRcle at: https://circle.ubc.ca/handle/2429/43377. The recently added UBC Japanese Canadian student oral history interviews are: Teiso Edward Uyeno [http://hdl.handle.net/2429/44389], Roy Shinobu [http://hdl.handle.net/2429/44388] and Akira Namba [http://hdl.handle.net/2429/44387]. If you were unable to attend the official honorary degree ceremony held for the Japanese Canadian students of 1942 on the 30th of May 2012, you can watch it now online via cIRcle, UBC’s Digital Repository at: http://hdl.handle.net/2429/44272. Stay tuned for upcoming UBC news, announcements and more marking the one-year anniversary of that momentous event.